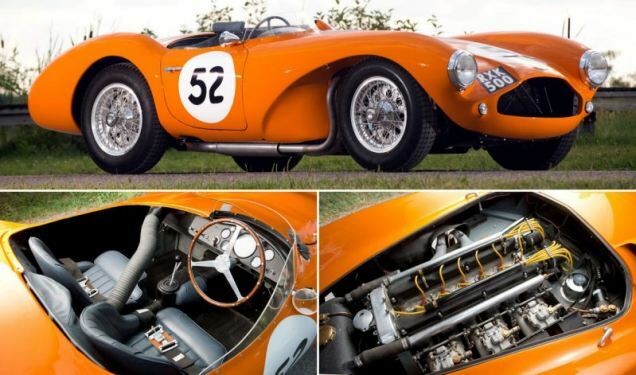 This bright orange version of the Aston Martin has been described by experts as a 'masterpiece' and is expected to fetch a staggering £2.5 million when it goes under the hammer next month. It was bought new by a Dutch motorsport ace Hans Davids who raced it in England before the car was later shipped across the Atlantic to the USA. Classic car enthusiasts regard the orange Aston Martin as 'one of the most attractive and elegantly designed sports racing cars of the post war period'.